In 1915, Great Britain and her Empire found itself engaged at Gallipoli and on the Western Front. Lacking the wherewithal to conduct both campaigns effectively, the year was one of theatre-wide learning and experiential exchange that continued to the armistice. 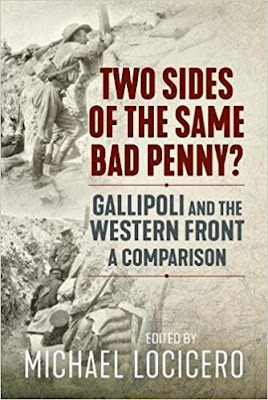 Primarily based on a series of papers delivered at the Western Front Association’s Gallipoli and the Western Front Centenary Conference (25-27 September 2015), this compendium volume contains original essays by such notable First World War historians as Stephen Chambers, Mark Connolly, Christopher Pugsley and Gary Sheffield. The various topics include command and control, military technology, logistics and British and Dominion forces.